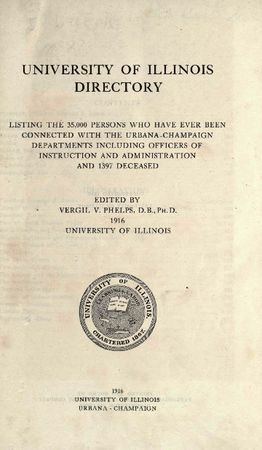 Book - Early History of University (1916). Excerpted from University of Illinois Directory 1916. First 120 pages of document relating to history and development of University, remaining pages containing alumni directory excluded.